Nine years ago, a reader of this blog, lost his underwear on this blog. I immediately wrote a warning post to my readers not to be careless while reading my blog. Today on the last day of 2017, someone again lost their underwear on my blog. It looks as though the underwear has been used by its owner for more than a decade. 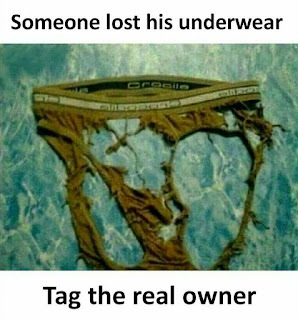 Except for the elastic band that reveals that the owner loves the brand " Crocodile", the remaining part of the underwear looks as if it had gone through some severe torture. Maybe, this is a new fashion like the torn jean trousers that many youngsters wear these days. Hence I should not be making fun of this underwear's current form. 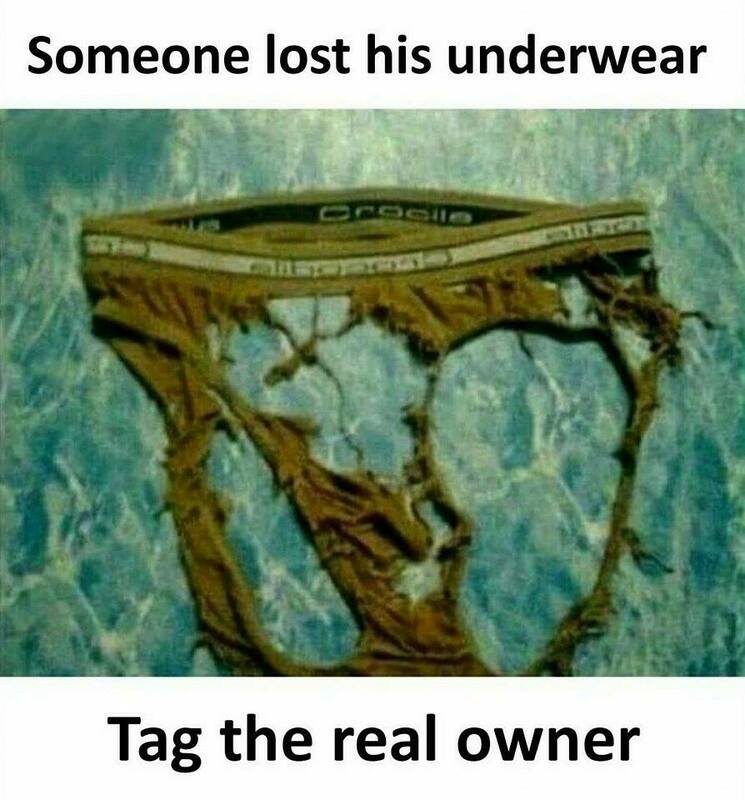 I request my readers to tag the owner of this underwear in the comments section to make sure that it reaches its rightful owner just in time so that he can enjoy the new year with his underwear. 8 years ago, I read a post on a lost and found red underwear. It was such a delight... not just the post but the comments as well. 😊 u haven’t lost your touch.